Whether remodeling your home, finishing up an unfinished basement space or building a new home, soundproofing walls is a great way to both increase the home’s value and create a peaceful environment that the whole family can enjoy for years to come. Often, homeowners only think to take on this type of project after being bothered by irritating noises from neighbors, road noise or even from someone practicing an instrument in the home. Fortunately, soundproofing a room like this is something that can easily be added to a home with some remodeling of the existing walls. While there are plenty of professionals that offer this type of service, you can actually do a little DIY soundproofing on your own without going over budget. In fact, it can be a very affordable project as long as you have the necessary skills to take on a project of this magnitude. It is important to keep in mind that not everyone can do this sort of thing on their own. In such cases, it is better to pay a professional. But, if you’re up to the job, then we can give you a few tips to get you going in the right direction. We will suggest the proper soundproofing materials for this project and go over some home soundproofing basics. With our help, you should be ready to attempt this little home renovation project on the cheap. For a new build, you’ll just need to get those wall stud cavities up and ready for the insulation. And if you’re doing a remodel, then you’ll have to get the old drywall removed and clear out any existing insulation. Basically, you’re getting the walls stud cavities as bare as possible so that they’re ready for the installation of the insulation and sealant. Don’t be worried if you see pipes and wiring that is in the way in some of the cavities. This is normal and you’ll just have to work around it. Just keep those location in mind as you move forward with this project. If you have not already done so, you need to obtain the soundproofing batts that you’ll be inserting into the wall stud cavities. Probably the best brand on the market when it comes to good residential soundproofing insulation is Roxul. Here at Audio Smarter, we’re big fans of their Safe’n’Sound and acoustical fire batts products. They are a great affordable option. Another type of insulation that you might be interested in checking out is made of fiberglass. We have an easy-to-use comparison chart that shows you the different types and products that are available on the market right now. Since sound leakage is a real possibility, we also suggest that you stock up on some Green Glue, which is a noise-proofing compound designed for use where there are cracks or gaps after installing your soundproofing materials. It comes in a tube, which means that you just need a caulking gun to use with it. 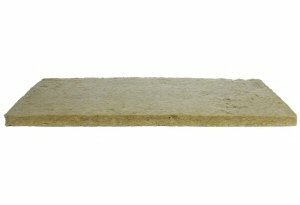 Now that you have all the necessary materials, it’s time to start installing your soundproof insulation batts. This is actually pretty easy thanks to their design. Just put the batts in the wall stud cavities, where they should fit snugly and securely. As you encounter pipes and other obstructions in the wall stud cavities, just use a serrated knife to cut the batts to fit the space. Try to get as close of a fit as possible around those obstacles to prevent any air gaps. Do the best you can because you’ll be able to fill any gaps once you’re done. Once the insulation batts are in place, it is time to seal up any air gaps that might have been left when cutting the batts to fit around obstacles. You definitely do not want to leave the gaps because they will transmit sounds, which defeats the purpose of the soundproofing insulation. Green Glue sealant is the best way to seal the air gaps. And it is very easy to use. Just pop it into a caulking gun and apply it anywhere that you find gaps or spaces. This might seem like a tedious process, but it definitely vital to optimal soundproofing. This part of the process is another area where you might need a professional if you have no experience hanging drywall. Putting up the new drywall doesn’t require a whole lot though, so you still might be able to go the DIY route. Keep in mind that you can use regular drywall here but you will get much better results if you go with some soundproof drywall. Yeah, it increases the cost by a bit, but your sound absorption will be much better if you go with the soundproofing sheetrock. Now that you’ve gotten this far, all that remains is finishing off the new wall with some soundproofing sealant. You will want to do this around the base of the drywall, and the spaces that you find between the sheetrock, the windows and the doors. Congratulations, now you have soundproof walls! If you’re looking for a quick fix when it comes to soundproofing an existing wall, the video below shows you how to take some noiseproofing sealant like Green Glue and an extra layer of sheetrock so that you have a noise isolator built into the wall. It is a simple way to get the job done without spending a lot of money on the project.